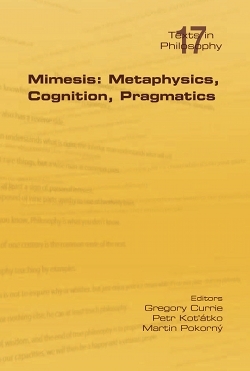 The concept of mimesis has been central to philosophical aesthetics from Aristotle to Kendall Walton: in plain terms, it highlights the links between a fictional world or a representational practice on the one hand and the real world on the other. The present collection of essays includes discussions of its general viability and pertinence and of its historical origins, as well as detailed analyses of various relevant issues regarding literature, film, theatre, images and computer games. The individual papers offer new arguments for the specialist, yet in their sum also provide a solid and helpful survey of the current state of the debate. Contributions by P. Alward, G. Currie, D. Davies, L. Dolezel, J. Hamilton, T. Koblizek, P. Kotatko, A. Kuzmicova, J. Levinson, A. Meskin, A. Pettersson, M. Pokorny, J. Robson, G. Rossholm, R. M. Sainsbury, F. Stjernberg, E. Terrone, K. Thein, A. Voltolini.